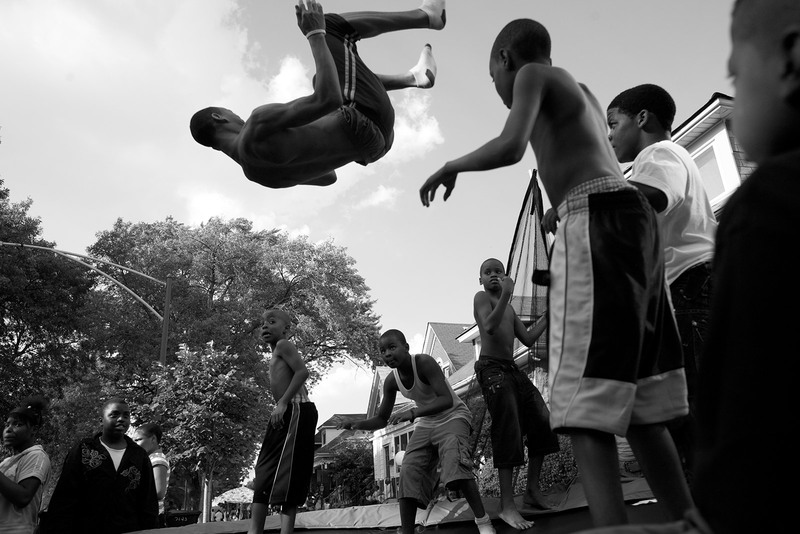 Kids jump off of a trampoline during a block party in Chicago, Illinois, in 2008. • Why do you think the photographer included this image in the series? What message was intended?